If It's Hip, It's Here (Archives): Turning Kitsch Into Couture. 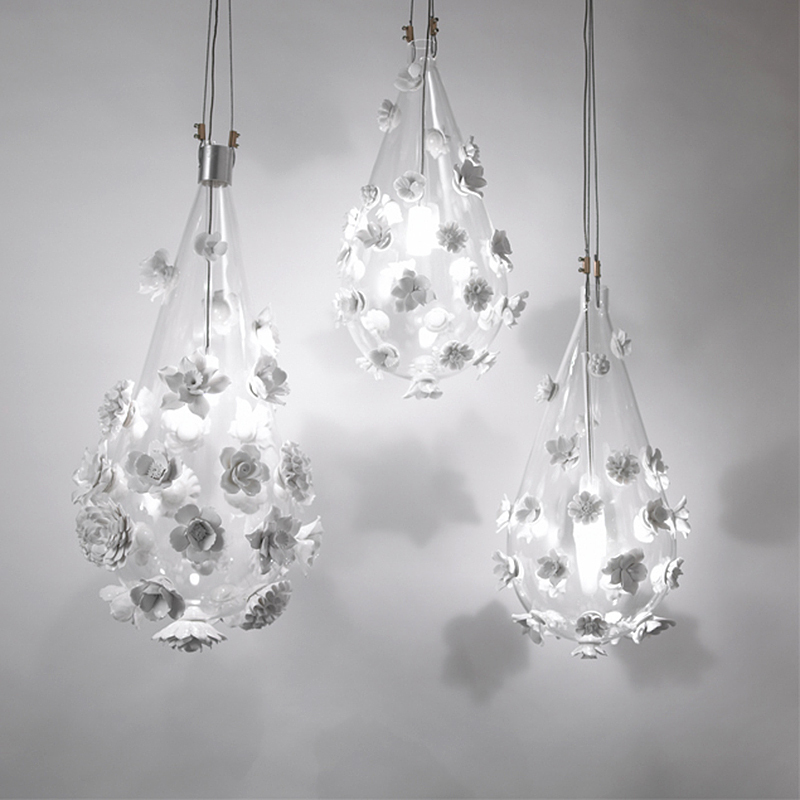 Teardrop Lighting by Bodo Sperlein. Turning Kitsch Into Couture. 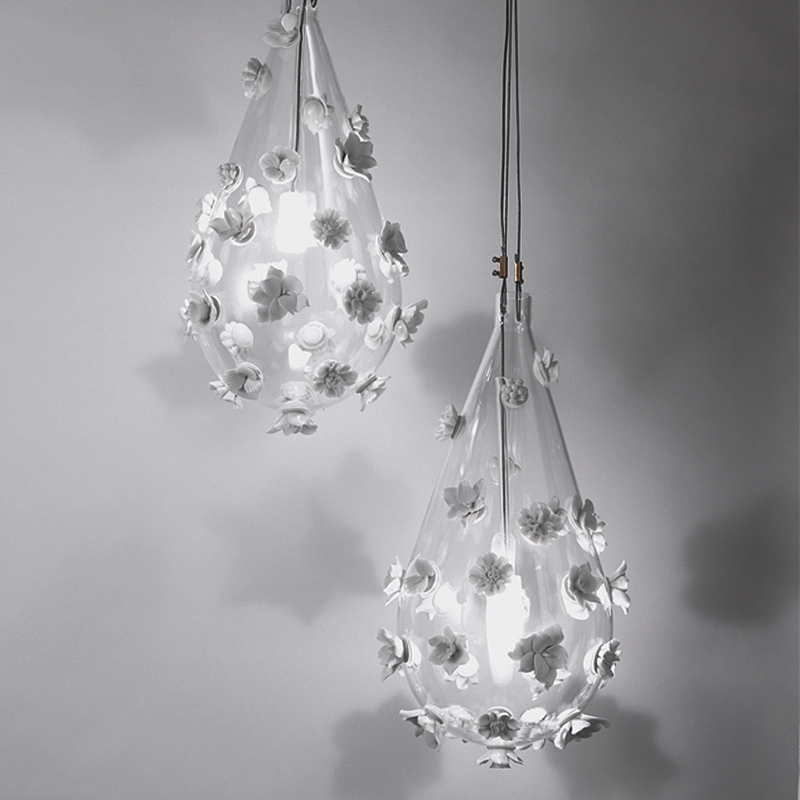 Teardrop Lighting by Bodo Sperlein. Bodo Sperlein's work for Lladro and Nymphenberg caught my eye years ago and since then, I've been a fan of his elegant pieces and home decor. His Red Berry and Dibbern Black Forest Dinnerware have long been atop my wishlist. Here's yet another unique collection by Sperlein that preserves an endangered skill and turns it into contemporary pieces for the home. His unique collection of pendant lighting, Teardrop, highlights Bodo Sperlein’s interest in preserving and celebrating traditional skills. 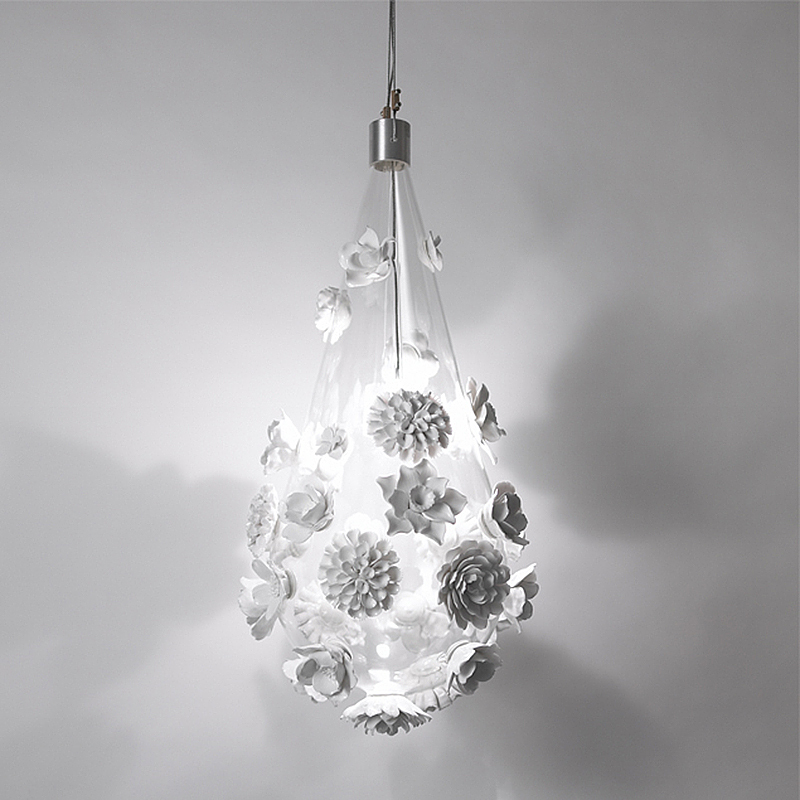 In this case, he has re-imagined and updated hand-made bone china flowers which had fallen out of style and were considered kitsch. 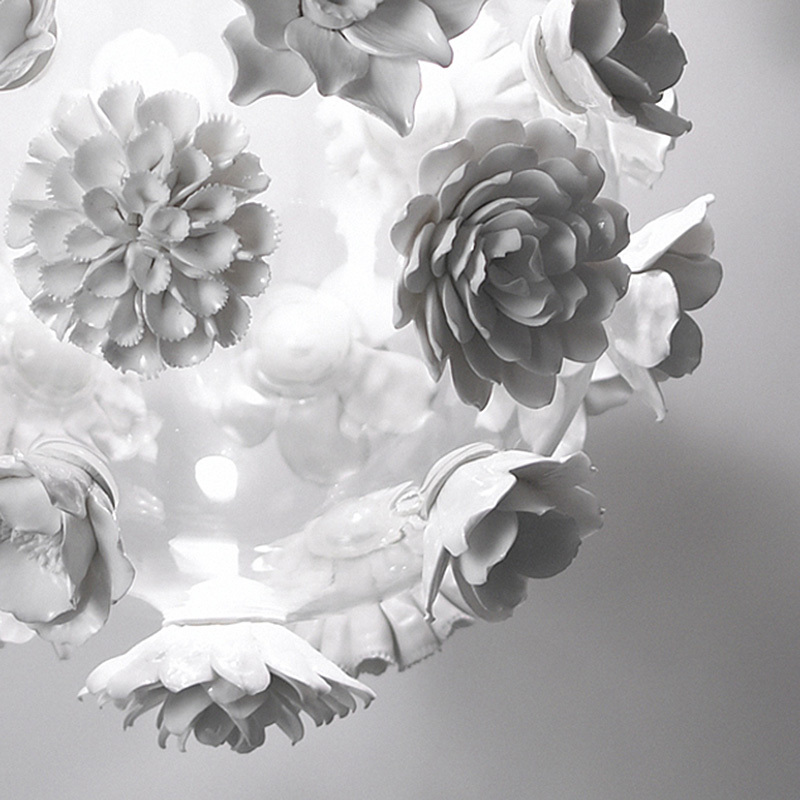 With such a small group of ladies left in Staffordshire dedicated to this craft of handmaking, Sperlein sought to ensure that these skills survived into the 21st century and did so by taking delicate and detailed plain white bone china flowers and fusing them to dramatic hand blown teardrop-shaped borosilicate glass pendants. In addition to looking unusual, they cast flower shaped shadows. Available in two sizes, you can buy them online here. See more work by Bodo Sperlein here.